Q1 – As a Christian disciples, what areas of my life do I need to let Christ in? The Apostle John writing in 1 John 2:15-17: "Don't love the world's ways. Don't love the world's goods. Love of the world squeezes out love for the Father. Practically everything that goes on in the world-wanting your own way, wanting everything for yourself, wanting to appear important-has nothing to do with the Father. It just isolates you from him. The world and all its wanting, wanting, wanting is on the way out-but whoever does what God wants is set for eternity. " I wonder what you think is the greatest challenge to the Church and Christian Discipleship at the beginning of the 21st century? What is possibly one of the greatest challenges to Christian Disciples to stand alone and be faithful to God? Some people I speak to think that the surge of rampant atheism fuelled by the thinking of Richard Dawkins and the writings of Philip Pulmann are the greatest current threat. Others say it is the weak liberal theology in parts of the church. Certainly those two examples are threats but they are not what I think is the greatest threat. I want to propose to you that quite possibly that biggest threat to Christian Discipleship is the temptation of materialism. This is where following Jesus' command to take up the cross becomes practical for us. This is where loving God and loving others becomes difficult. Materialism grips both the Church community and also Christian Disciples if it is allowed. Eschewing and casting off materialism will see Christian Disciples who are radical by the very society, which we are trying to win for Jesus. What is materialism? Every person has in differing quantities: possessions and money. These things in and of themselves are not evil. It is however our reaction and attitudes toward them that causes us to be seduced in this area. Materialism is a reliance on possessions, money people or even the church, as our ultimate objects of trust instead of God. The Apostle John writing in 1 John 2v16 gives a very accurate picture of materialism: "lust of the flesh, lust of the eyes and the pride of life." That, brother and sister, is materialism! If there were to be a sin that marks our particular generation, particular in the West, then it would be the sin of materialism and the worship of objects and people. Every day hundreds of thousands of people die from lack of food, water, clothing and shelter. For each of us, these things are taken for granted. When we feel like a change of house or location, we just move. The whole Christian community is one which reflects the Holy Trinity, and that the Church is to be a community where the strongest members support the weakest members. This applies not only to the local church, but also to the universal Church and therefore has a national and international context as well. Too often as Christians we are found turning a blind eye to the suffering of others where the bare necessities of life are in sparse existence. Too often we gather possessions and people, instead of giving up our time and money generously to help the poor and needy of both our world and local communities. As Christian Disciples living in the world of the twenty first century, where wealth is seen as a sign of success, the cult of celebrity is rife and where family, morals and God have taken a back seat, how should a Christian Disciple respond to materialism? A lot of Churches measure their success solely by the number of members in the congregations or by how much money goes into the offering pot each week. However, not just good things grow. Islam measures its success on the so-called growth in those who would consider themselves a Muslim. It is the fastest growing religion in Australia, albeit due to immigration. However, every gardener will tell you that even weeds grow! So counting numbers is not the best way to measure success. The measure of a successful Christian Disciple can be seen in those verses I read earlier and also in Matthew 22v37-40: Jesus said, "'Love the Lord your God with all your passion and prayer and intelligence.' This is the most important, the first on any list. But there is a second to set alongside it: 'Love others as well as you love yourself.' These two commands are pegs; everything in God's Law and the Prophets hangs from them." By doing these two things, we show we trust in God and not in anything or anybody else. By doing those two things, both as a Church and as individual Christian Disciples, society will see we are neither dangerous nor deluded. To Richard Dawkins and his aficionados who think all religion is pure evil, based on delusion and that religion has never done a good thing in history to benefit humanity, it will help show the folly and irrationality of their thinking. If Church communities and Christian Disciples make radical steps such as eschewing materialism, both in being and making Disciples, I think the Church and Christian Disciples would no longer be seen as a deluded and irrelevant. Rather they would be seen as thriving resulting in Jesus being glorified and holy transformation sought. After all, Jesus is the master of the Christian Disciple and the Head of the Church. Q1 - As a Christian Disciple, in what ways are you being seduced by materialism? Q2 - What things can I do, not do or give up to aid the weakest members of my community? Q3 - How can you use your "passion and prayer and intelligence" this week for the glory of God? 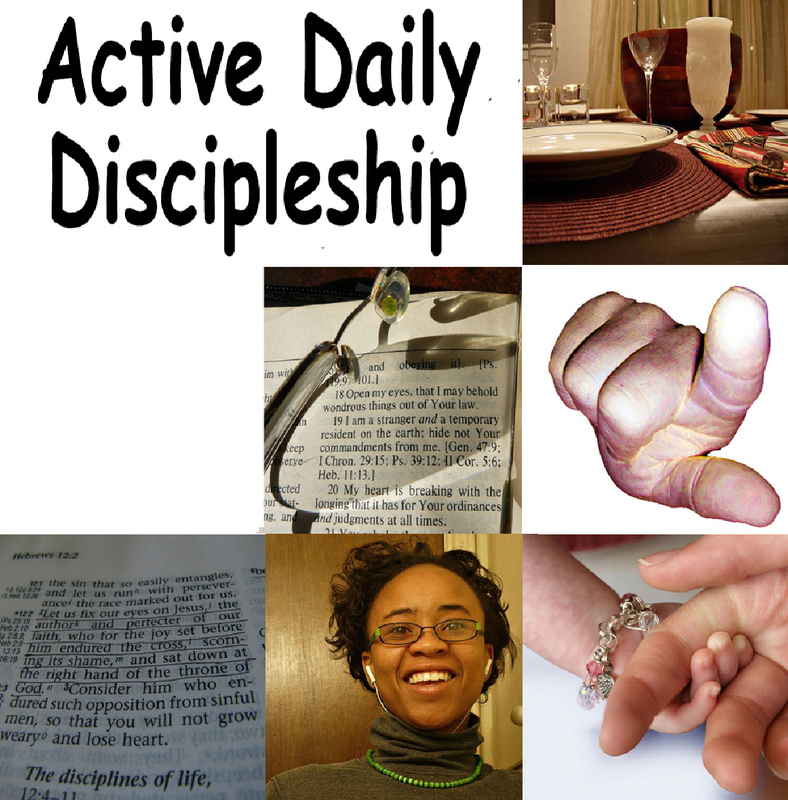 We have a new identity as Christian disciples. What are we to do with it? We are to stay faithful to Jesus and sometimes it is difficult! It means staying faithful to Jesus and His will, regardless of opposition and alternatives, By doing this we are standing alone and be faithful to Him. Satan brings pressure to bear on Christians to reduce their standards and commitment. Christian disciples undergo challenges from the world that doesn’t like or understand us and constantly tempts us to do wrong things or we are tempted not to do right things. So we are to be separate from sin but not separated from a sinful society. This is what Jesus meant when He said we are to be “In the world but not of the world” (Jn. 17:15-19). The key to standing alone is constant identification with Jesus Christ in lifestyle and words. As we live the Christian life, as Christian disciples we will face hindrances to identifying with Jesus. 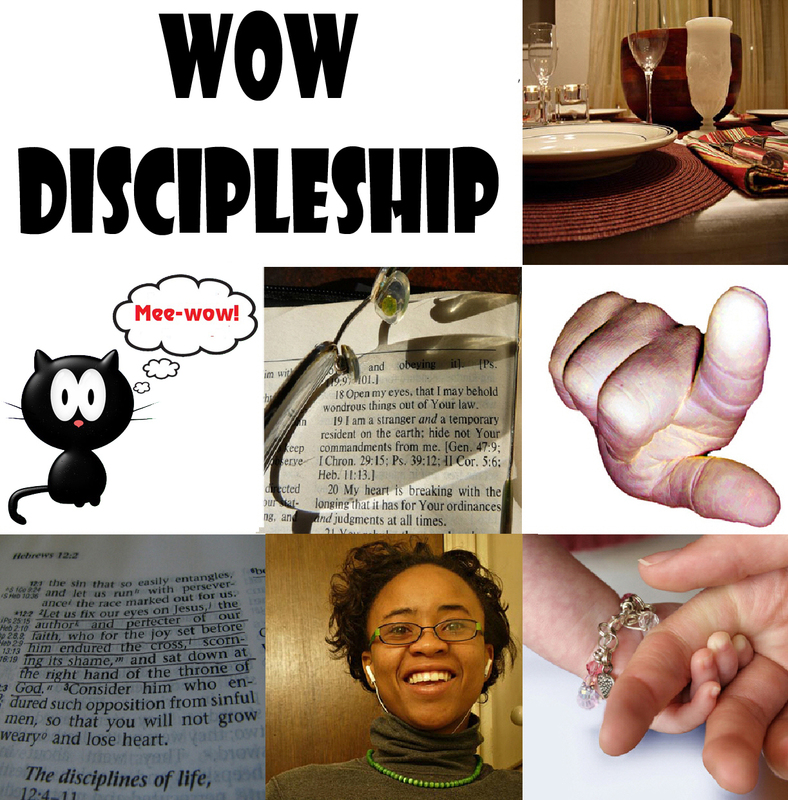 Here are four major areas that as Christian disciples, we all undergo. So if they are some of the hindrances, what are some of the keys in battling these hindrances? As Christian disciples we have to remember God's way of life is superior. It is a life filled with abundance according to Jesus in John 10:10! Then we realise that acting as light & salt in the world, you are co-operating with God and He is being glorified according to Peter in 1 Peter 4:12-14). Remember; if you give people no reason to ask about the hope and faith you have in Jesus, they probably won’t ask! Jesus said in His final words before His ascension in Matthew 28:18-20, that we are to expect persecution for being his disciples. If that’s how we identify with our lifestyle how do we identify verbally with Jesus? Rely on the Holy Spirit to help you! Askfor His help and guidance! For more to do and think about please do read for yourself, John17:15-19. Ask yourself the following questions, writing them down if you can, and see how you respond or react to them. Then why not share your answers with your spouse or a close friend, so that you can pray over any issues together. Q1 – Have I given every area of my life to Christ in order to be faithful to Him? Q2 – Am I prepared to be holy and obedient to God in all circumstances? Q3 – Am I willing to sacrifice my desires for God's Will, so that I can clearly be seen identifying myself with Jesus in lifestyle and in words? Colossians 3vv1-4: If then you were raised with Christ, seek those things that are above, where Jesus is, sitting at the right hand of God. Set your mind on things above, not on things on the earth. For you died, and your life is now hidden with Jesus, in God. When Jesus, who is your life, appears, then you also will appear with him in glory. 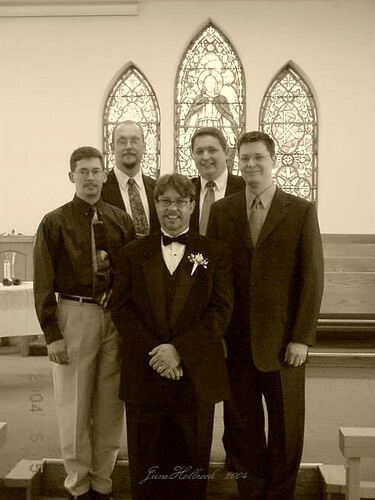 About four years ago, I slipped into a coma as a consequence of a brain bleed on a Saturday evening. After that I had terrible memory problems for a while. If left on my own, I would forget things like eating lunch. I would forget to brush my teeth unless reminded strongly! Normal everyday things, I would simply forget to do!! That is the same for all Christian disciples and their spiritual life. If we listen carefully, the Holy Spirit is constantly reminding us of our status before God. He reminds us of our new identity as God’s children! Those four verses from Colossians that I read at the start tell us that as Christian disciples, we have a new identity, and Paul here give us five facts about that new identity. I must add here that these five things are not hypothesis, symbolism or theory. They are existent facts about all Christian disciples. We are not marked as Christian disciples because we go to Church regularly, though it’s a good idea if we do. We are not marked as Christian disciples because we were baptized, though I hope that we are. We are marked as Christian disciples, not because of any outwardly visible mark, but because of these 5 facts. So what are these 5 facts? 1. We died with Jesus (3a). Jesus not only died for us, but we died with Him. Jesus not only died for sin, but also died unto sin to break its power. As Christian disciples we died with Jesus. Ergo, we can conquer our old sinful nature if we choose to. Our new identity is Jesus and we have died with Him. 2. We are raised with Jesus (1a). Just as we died with Jesus, we are also raised with Him. We are raised with Him and we rule with him, seated at the right hand of the Father. Your new identity is Jesus and you have been raised with Him. 3. We live with Jesus (4a). As Christian disciples, Jesus is our life and our eternal life, is Jesus. We are dead to sin, yet alive to Jesus. Our new identity is Jesus and we live with Him. 4. We are hidden with Jesus (3b). For those of you who like a good mystery, here is one for you. We are hidden with Him!! We no longer belong to this world, but we belong to Jesus. We are hidden with Him in heaven. That is not to say we are to neglect our earthly duties and responsibilities, but rather that our motives and strengths are to come from Jesus. Our new identity is Jesus and we are hidden with Him. 5. We will be glorified with Jesus (4b). When Jesus comes again, we will see Him face to face, and He will take us home. So, we will not be hidden with Jesus perpetually because when Jesus is revealed in glory, we too shall be revealed in glory. We already have in part some of this glory, but one day the full extent of this glorification will be revealed. These five events... These five facts cover all three tenses in time - past, present and future... In the past, we died and were raised with Jesus. In the present, we live with Jesus and we are hidden with Him. In the future, when He comes again, we will be glorified with Him. His death covered all sins – past, present and future sins. Every time we succumb to temptation and commit sin, we forget who we are in Christ. I forget my new identity as a child of the Living God. You forget that you have died and been raised with Jesus. You forget that you live in Him and that you are hidden in Him. I forget that one day He is coming again and that I, as his disciple will be glorified with Him. So when faced with temptation, tell your old nature that it is dead and that you have a new nature which you seek to serve and a new Master to obey! Talk to yourself – it’s a sign of maturity!! For more to think about please do read for your self, Colossians 3vv1-16. Ask yourself the following questions, writing them down if you can, and see how you respond or react to them. Then why not share your answers with your spouse or a close friend, so that you can pray over any issues together. Q1 – What makes me forget who I am as a Christian disciple? Q3 – What practical steps can you take to put them into action? As ever, if you have any comments to make on this, please do contact me at partake@hotmail.co.uk. I would love to hear from you and if these are making any difference at all to your continual Christian discipleship! Thank you.